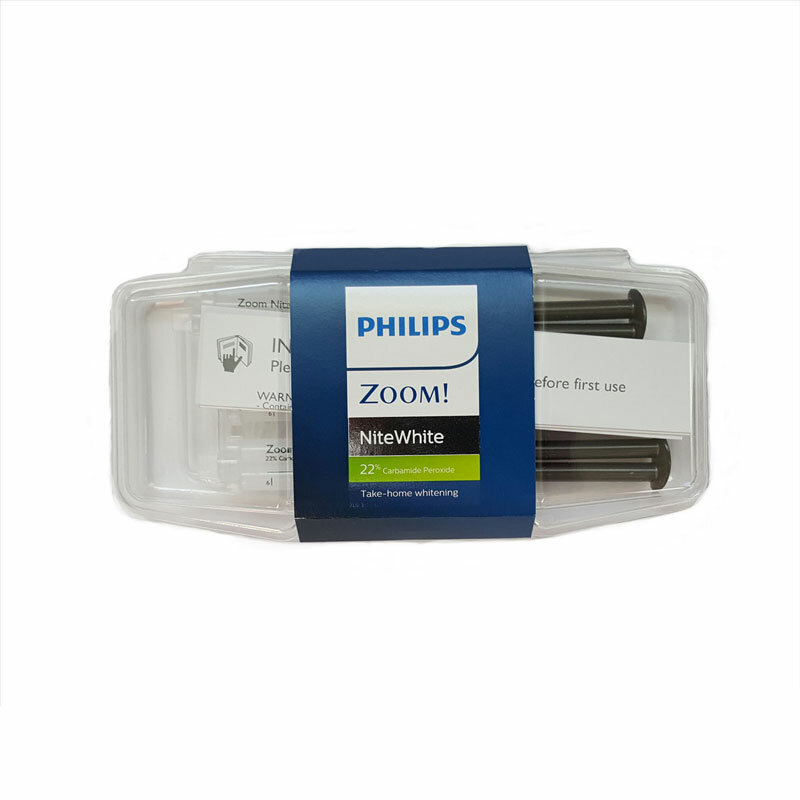 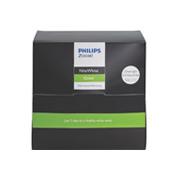 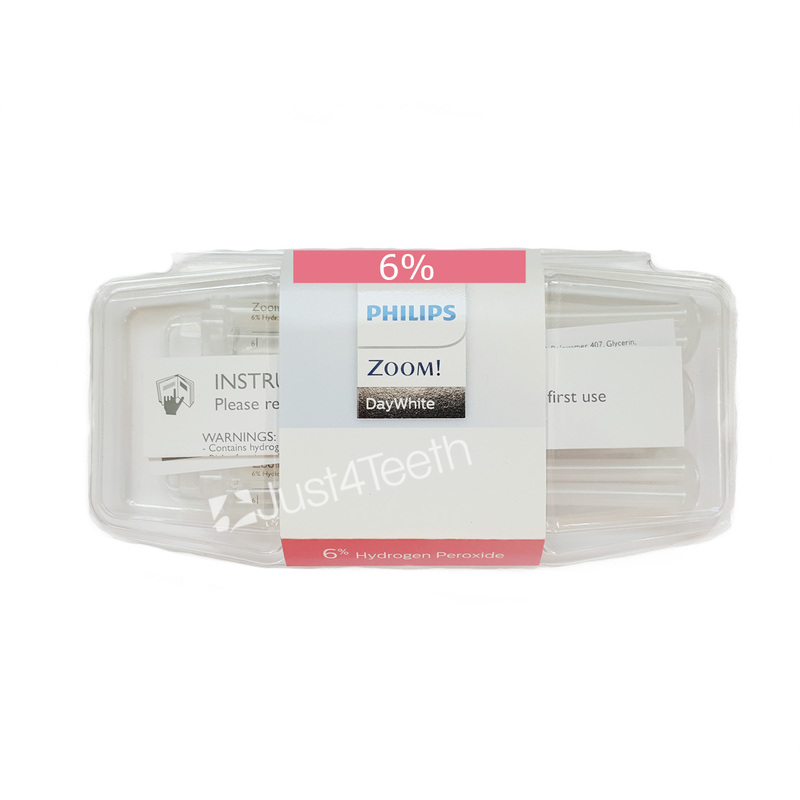 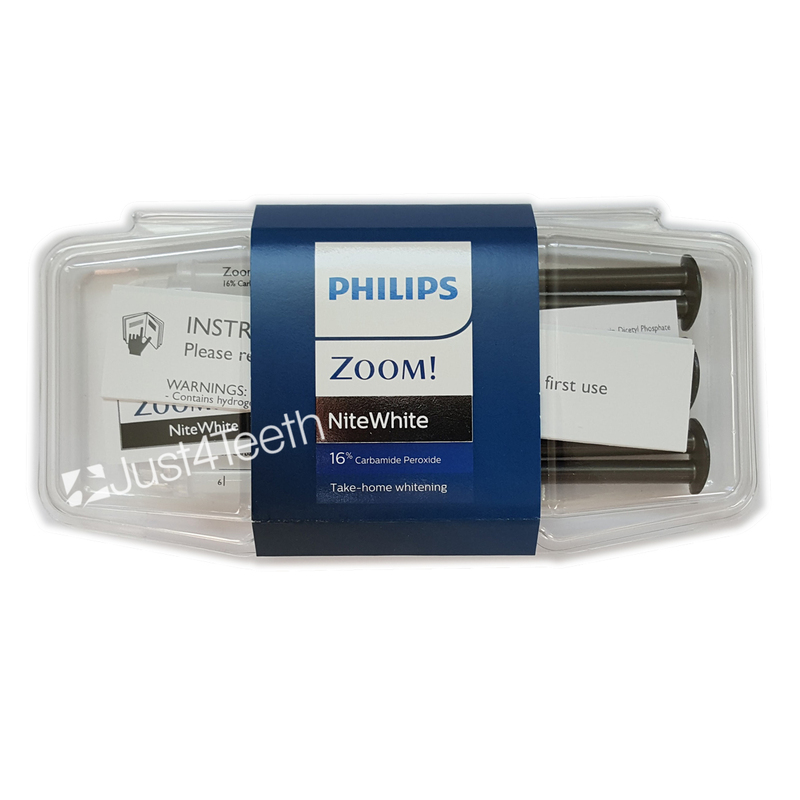 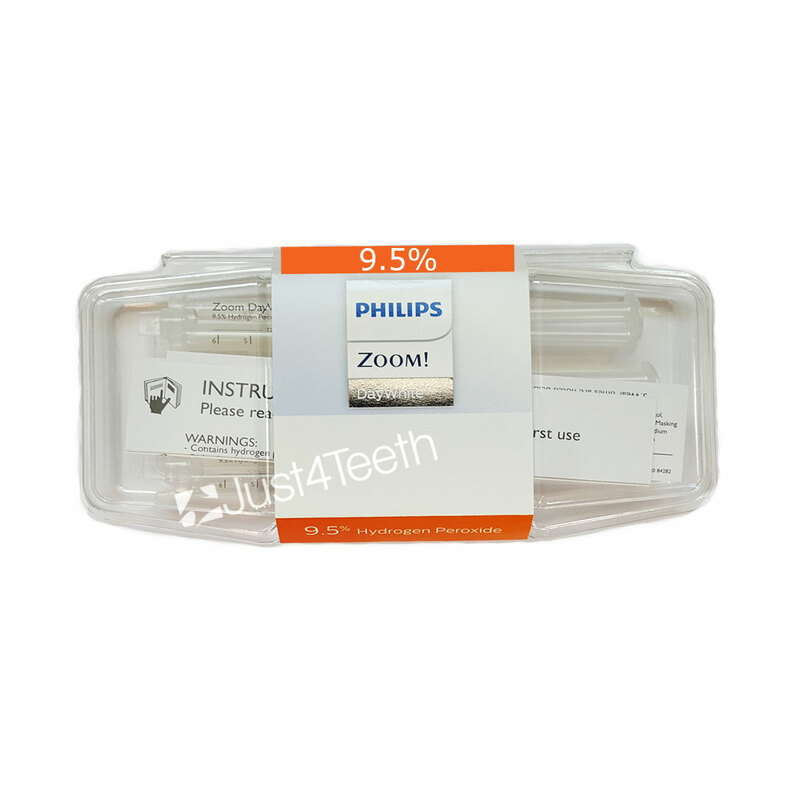 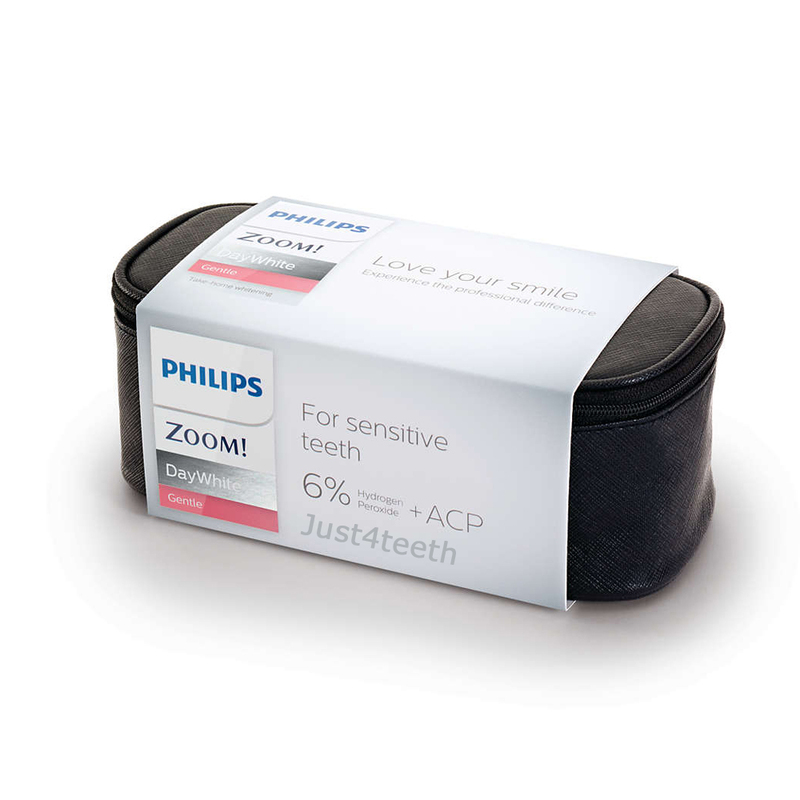 Philips Zoom DayWhite 9.5% Hydrogen Peroxide teeth whitening kit. 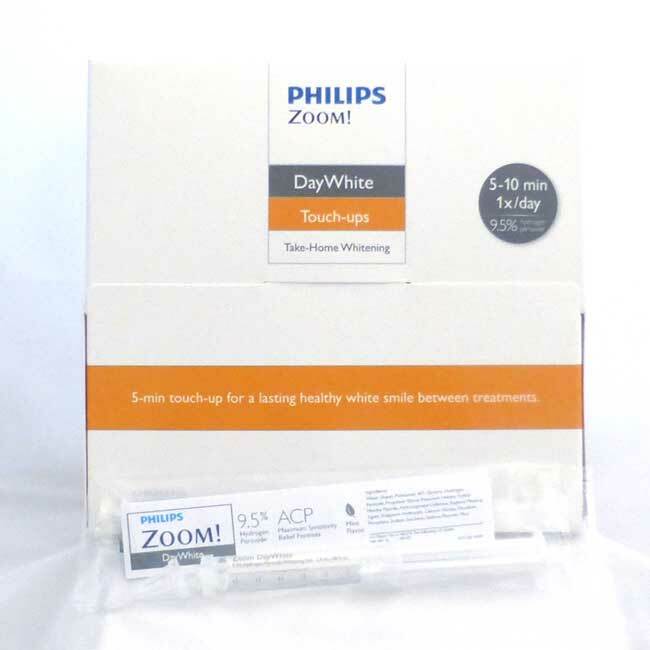 Zoom DayWhite 9.5% ACP Hydrogen Peroxide Patented "ACP" Calcium Phosphate technology with the proven effectiveness of Potassium Nitrate to naturally fill microscopic tooth surface defects, smooth the enamel and increase surface gloss and eliminates sensitivity. 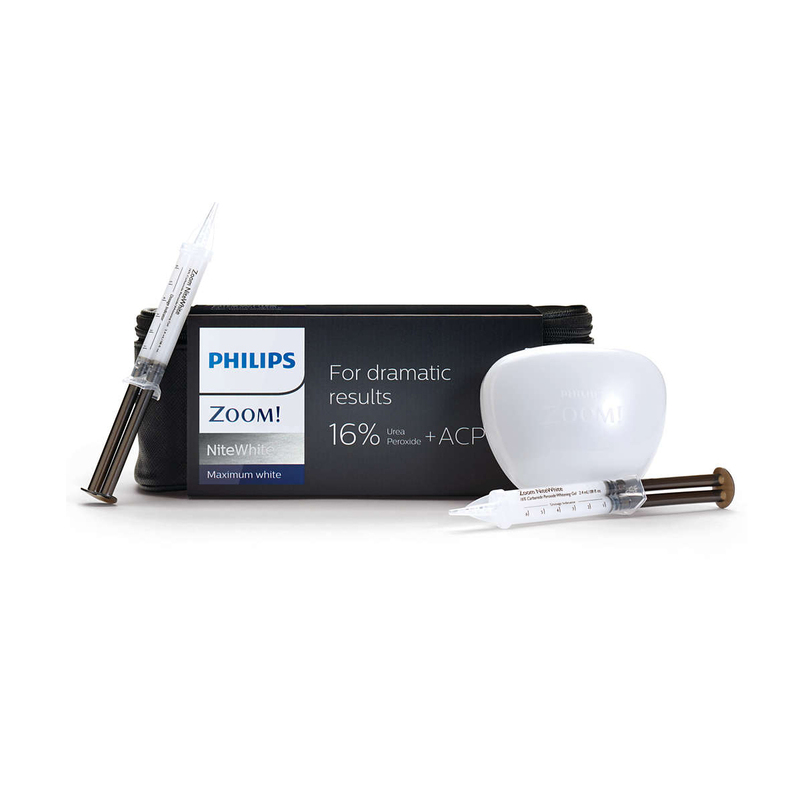 High viscosity gels maximize effectiveness. Sustained release for consistent bleaching. 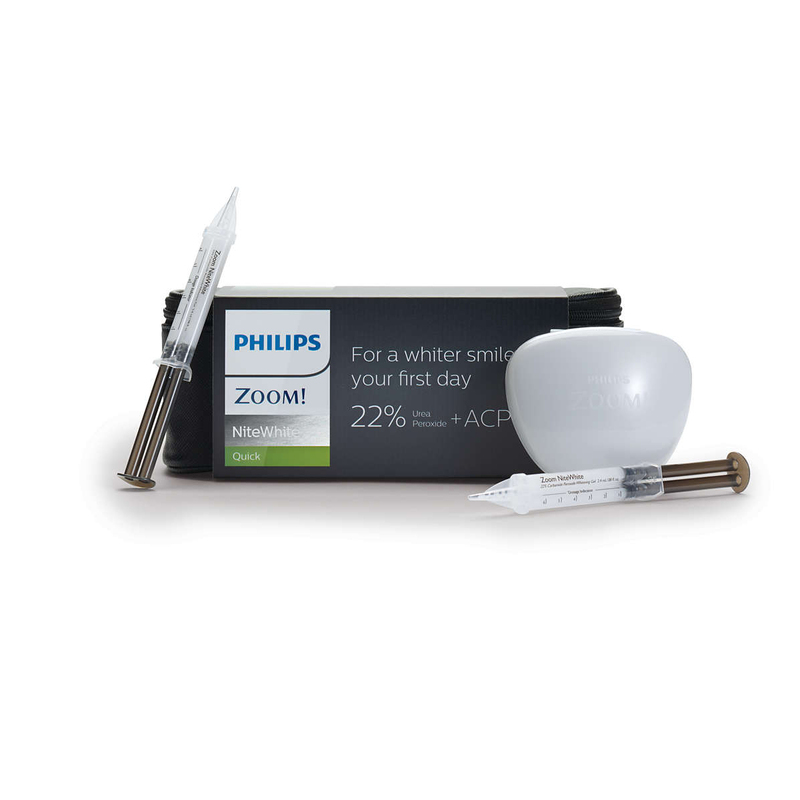 Wear time: 30 minutes, twice a day for 10-14 days..
Patented Syringes for New Levels of Stability By separating ingredients in our patented dual-barrel syringe, our bleaching gels are assured the best stability without requiring refrigeration. 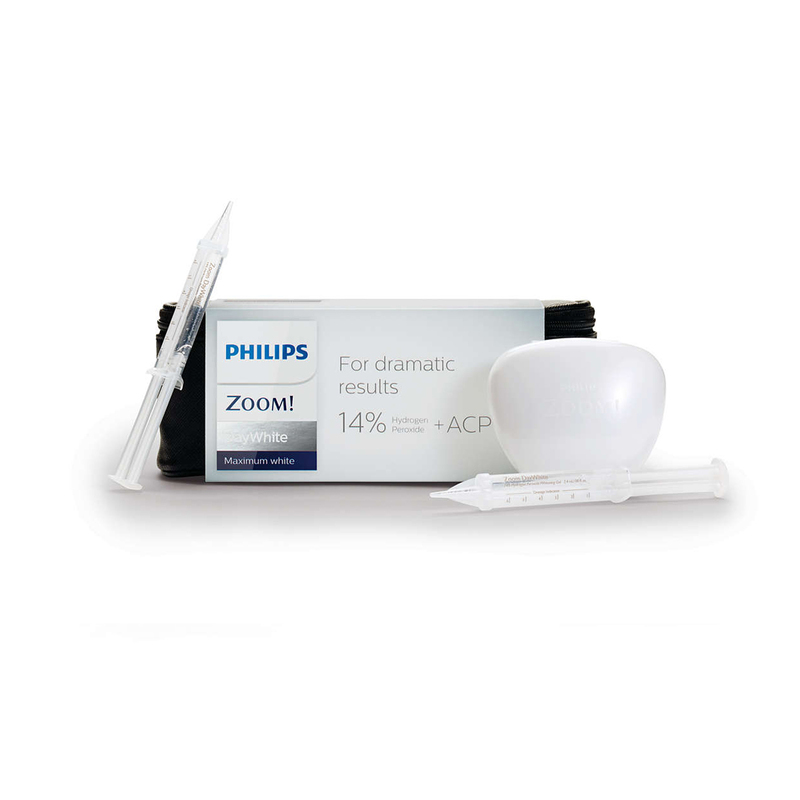 In addition, separating calcium and phosphate in each barrel maximizes ACP’s effectiveness. 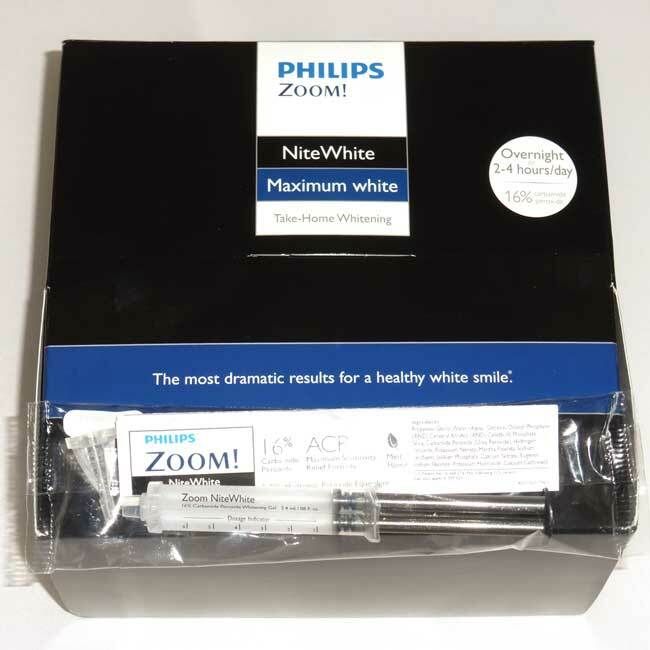 NOTE Bleaching gel refills are ONLY used with dentist-made (custom-made) Whitening Trays. 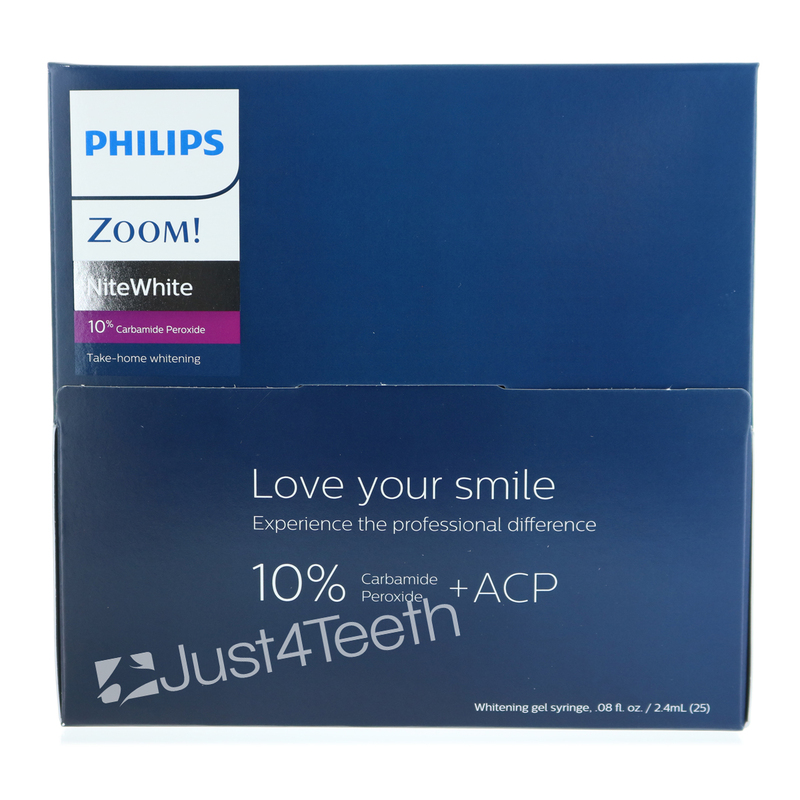 For Whitening Trays click here.